Yesterday, I had someone ask me an interesting question. 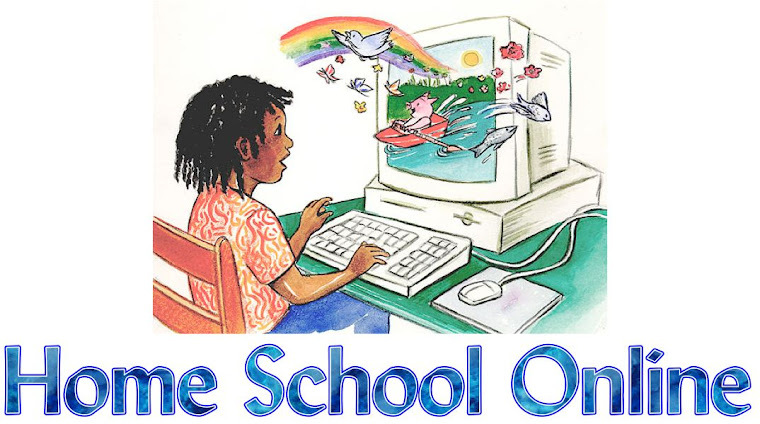 Why don’t more homeschoolers use state virtual schools? It’s a very good question, actually. Now that over 30 states offer them, you would think that homeschoolers would be flocking to this option for education that is free, home-based, and teacher directed…and sometimes the state even provides a computer, as well! And some homeschoolers have opted in to the virtual school choice. Each day in different homeschool forums I read about families who have decided to try out their state’s virtual school program and see how it works for their children. Child actors and athletes have also made the program more well-known by talking about their experiences schooling with state-sponsored cyberschools. Homeschoolers who have felt overwhelmed by the demands of educating their children at home have reached out to virtual schools for the guidance and oversight it promises. There is comfort for some parents in knowing that someone besides themselves is in charge of the success or failure of their child’s education. So that brings us back to the question…why don’t more homeschoolers use state virtual schools? The answer is probably somewhat complicated, but the main reason seems to lie in the word “homeschooler.” When a student signs up with a state sponsored virtual school, he or she is technically not a homeschooler anymore. They are actually enrolled as a public school student in their home state who is simply taking their courses at home. This is why I won’t use a virtual school for my children. I LOVE homeschooling. I love the flexibility. The ability to choose our own homeschool curriculum, our own schedules, our own way of learning. To be able to customize a program based on each of my children’s different learning styles. For me, no free computer or certified teacher to lean on is worth even one day of the freedom and flexibility we have as independent homeschoolers. What about you? Would you ever consider using a state virtual school to educate your children? 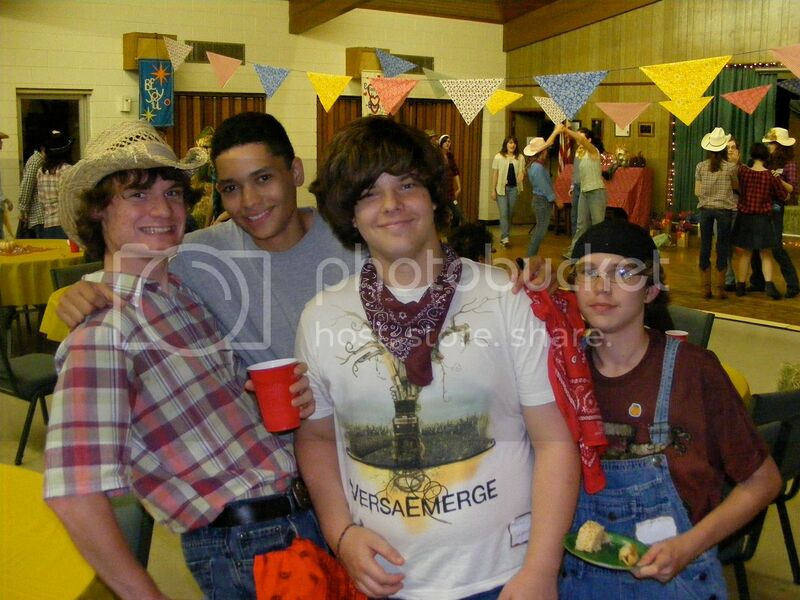 Last Friday our homeschool support group hosted a Highschool “Hoe Down” dance for our highschool aged students. 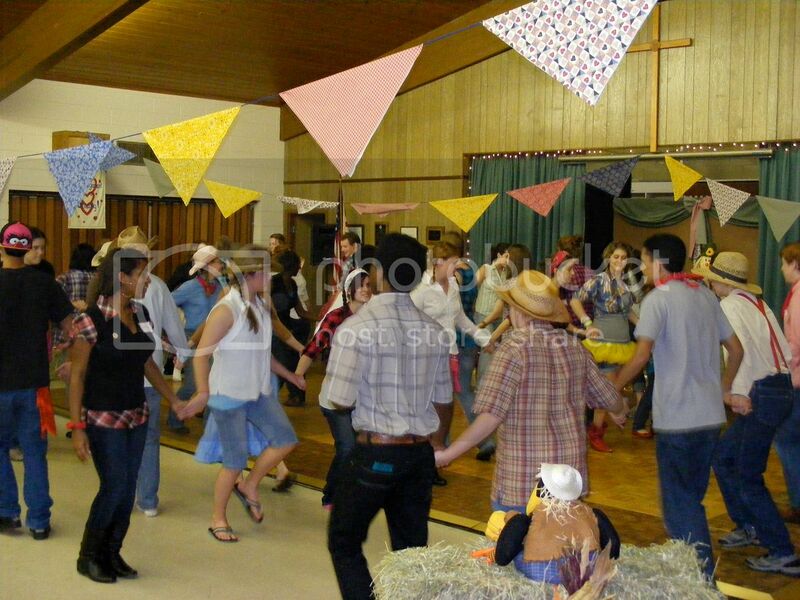 There was square dancing, line dancing, fried chicken, iced tea and almost 70 highschool kids having the time of their lives! 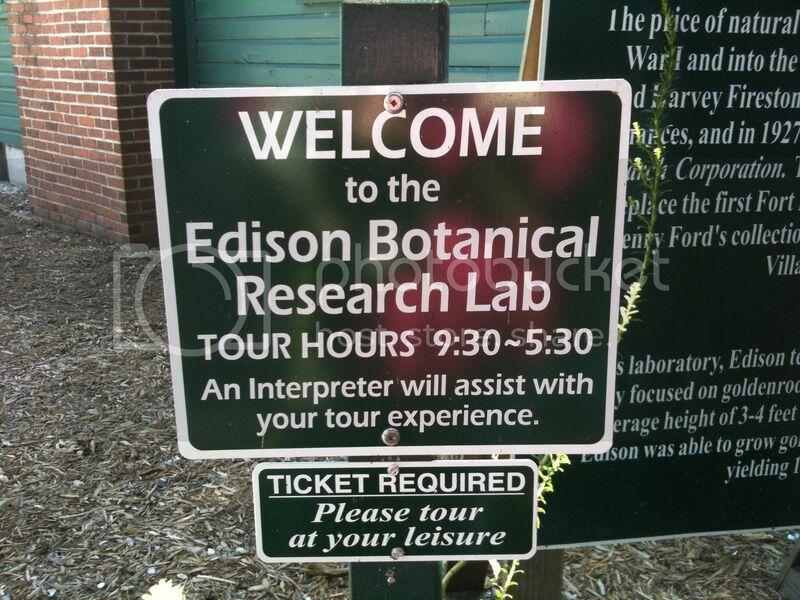 The previous Monday our support group hosted a field trip to Thomas Edison’s Florida summer home where we were led by docents through beautiful sprawling grounds, as they shared some amazing history with our children. Last night I was downloading all of my pictures to photobucket in preparation of blogging our memories and I couldn’t help but think of all the wonderful memories I’ve accumulated over the years through my support group. Being a part of a support group has been one of the greatest time and financial investments I’ve ever made. As I look back over the past twelve years I am so thankful for the opportunity to plug into such a life-giving group. I still remember walking into my first meeting back in August of 1998. My son had been in the public school and that is where all of our friendships had been formed. I felt like I was starting over and there was a sense of excitement, but fear as well. I walked out of that meeting a different person. I had made new connections and I knew that everything was going to be okay. Our motto is that, “We’re Better Together” and boy that was so true on a very personal level for me. Twelve years later and I have to admit that I am a bit biased about joining support groups because I happen to now be our support group leader. I am simply giving back what was given to me and I hope that if you have support groups in your area that you are actively a part of them. If you’re a veteran they need YOU and if your new you need them. Perhaps you live in a very rural area and there are no support groups, that’s okay, that’s where CYBER GROUPS or parent forums come into play. There was a two year period that I could not participate in many of our local support group activities. My husband worked evenings and I had four children, two of which were in diapers. To go get milk felt like I had run a marathon. It was a season of pulling "in". That was when I discovered the power of the internet like never before. I found a couple of cyber communities that quickly became part of my life, my family. Those moms were just as real to me as my local moms. Sometimes it was even easier to communicate because there no responsibility to be anywhere, do anything. I could just relax and be myself. Believe it or not those women are still my very close friends. I’ve watched their little ones grow up and vice versa. State By State Homeschooling Parent Support. It’s a support group at your fingertips and there is no membership dues! As I type this I am think of how close I’ve become with Jess and her family, Melissa and her crew, Deni who lives in another country and is homeschooling her precious son. (there is many more) We share our lives with each other and we believe that we’re “Better Together”! Won’t you come and join us. How about you? Are you part of a local or cyber support group? Share with us your experience! Depending on your source, public schools spend between $8000 and $11,000 per year to educate each student . . . and they are "underfunded". Private school tuition averages $4500 per year . . . still not cheap. I wasn't surprised to find that the average homeschooler spends $500 per year per student. Of course, this means many families spend considerably more and some families spend a lot less. I remember one year I challenged myself to do it for free, using the library and resources available on the Internet. It was probably one of our more successful homeschool years. What are the costs associated with homeschooling? Although most families consider sports programs and music lessons an important part of their educational program, these extracurricular activities are usually not taken into account when calculating homeschool expense. This is probably because it is assumed that students would still participate in such activities even if they were in a more traditional school setting. 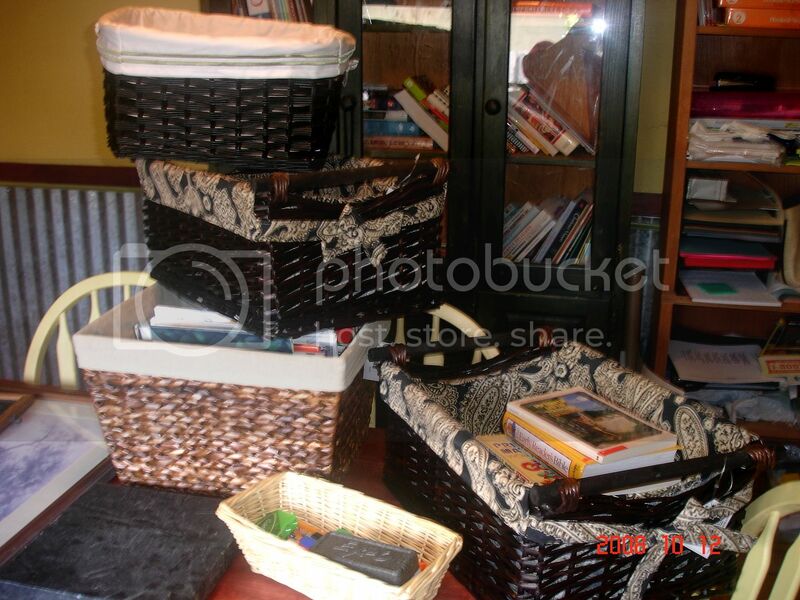 When budgeting for "homeschool", most parents are thinking "curriculum". Book publishers encourage families to purchase complete packages, at upwards of a thousand dollars. These packages contain student books, teacher's manuals, and manipulatives for one grade level. Throwing in their optional grading and recordkeeping services usually almost triples the cost. While more affordable than private school, this is still one of the more expensive ways to homeschool. Eclectic homeschoolers, like myself, prefer to purchase curriculum from a variety of sources. Since paying fifty dollars for a teacher's manual isn't uncommon, you can still end up with a hefty book bill this way. When I first stumbled upon Time4Learning several years ago, I didn't hesitate to try a month. There was no long term commitment, and I could even cancel completely and get my money back if I decided it wasn't working within the first couple of weeks. Instead, within the month, I had signed up four more children! I had considered $19.95 a month to be a bargain, so I was surprised when the additional kids were discounted at $14.95. This was for math and language arts, with science and social studies thrown in. The program even grades most of my kids' work and keeps detailed records for me. A school year's worth of Time4Learning is less than $180 for the first student in a family and falls under $135 for each additional child. If you are the average, $500-per-year homeschooler, that leaves quite a bit for extras (or to put in the bank). I enjoyed the year we homeschooled for free, but it isn't a challenge I'd undertake every year! I just don't have time to track down and organize all those resources, as well as to teach my kids, grade their lessons, and maintain good records. Using an online program like Time4Learning saves time without wreaking havoc on our budget. I like knowing exactly what the cost will be each month. If our budget can handle it, we buy extras, like science kits and foreign language courses. When things are tight, we know we don't have to, because the essentials are covered quite well. Gotcha! You didn't really think I would try to give you one step-by-step method that would work for everyone, did you? On the Time4Learning Parent Forum, each week seems to bring a new member who wants to know if they are going about homeschooling in the correct way. We don't mind a bit! That's one of the purposes of the Parent Forum, and other members usually jump right in to assure the new person that they're doing just fine. If you care enough to have clicked on this article, chances are you are doing fine, too! Of course, you will want to begin by making sure you are following the homeschool laws in your state. One place to get clarification of these laws is from the State-by-State Homeschooling Parent Support Groups. There, you will be able to ask questions of experienced homeschool parents in your own state. Each state has its own regulations, and finding out what others do to fulfill requirements can help you make your own decisions. Before you can educate your child, you might feel that you need a little education yourself. If you are confused about various homeschool methods, where to find resources, or other questions new homeschoolers often have, a good place to begin is the free Time4Learning Welcome to Homeschooling Guide. Beyond following the law and knowing your options, it's up to you! Textbooks, workbooks, or online lessons? Boxed curriculum or unit study? Borrowed, purchased, or homemade? Individual study paths or family learning? Rigid schedule or unschooling? You will find people who swear by all of the above, and you will soon have your own opinions about what works best in your situation. Experienced homeschoolers, what one piece of advice would you give a newcomer? New homeschoolers, feel free to ask your questions here. Experienced or not, we all grow by sharing, and our children will benefit in the end! I rarely turn the television on during the day, but occasionally I will flip to the noon news as I am making lunch in the kitchen. Yesterday, my flipping abruptly came to an end as I heard these words coming from a paid advertisement on a passing channel. “Your baby’s brain is making tens of thousands of connections per second. Your child will see the words, and hear the words, and while watching these videos, will connect the words and their meanings.” Ok, that was odd enough. But the child in the video looked to be about nine months old, tops!! Of course, they had me. I had to finish the commercial with my mouth gaping open as baby after baby responded to flash cards and “read” the words on them. I am SO glad I didn’t see this commercial when my boys were infants. Imagine the pressure on a young mother who is trying her best to keep her kid diapered, fed, and happy, and then suddenly realizes she has missed the boat. She is actually supposed to be teaching her child to READ, as well??!! Now, I’m not discounting the validity of this commercial, but I am asking myself…why?? Obviously these babies would not be reading if their parents hadn’t seen this infomercial. They would be playing with their toes, perhaps. Maybe even banging pots and pans together in the kitchen. I’ll go so far as to say one or two might be crawling down the hall with a strand of toilet paper streaming from the bathroom. But is that reason enough to stop them in their tracks and inundate them with letters and words? Taking the time to teach a baby to read means that there is less time for that baby to explore his or her world. To make meaning out of the objects and people around him. To create her own connections between words and sounds and things. Do we really want to rewire a baby’s brain so that the written word supersedes explorative play? In my experience, children become curious about words and word meanings around preschool age - - some not until much later. As homeschoolers, the great advantage for us is that we can take our time and our cues from our kids. Are they excited about learning to read at age four? Then by all means, introduce them to the concepts of letters and words. Time4Learning™ offers a fun and educational preschool curriculum for those kids who show the readiness to complete structured learning activities. Other kids may not be ready at all for formal learning until much later. That is perfectly fine too. I have a dear friend who called me one morning totally baffled by her 13 year old son and his new behaviors. She was discouraged because he was doing things that were out of the ordinary. He had always been a quiet, independent thinker with a witty, dry, sense of humor, and now he was walking around the house making silly comments and noises. It was non stop joking and he laughed at himself all the time. That is just ONE of many stories I have heard from friends over the years. Mom is normally in a state of panic and distress because they don’t know what’s happened to their sweet little boy or girl? Boy, can “I” relate! The very same thing happened to me when my oldest son turned 13. I had watched too many episodes of “The Duggar’s”. (a program about a family of many children) Joshua Duggar was the oldest son and seemed to always have everything so together. It seems as though he went from child to man and nothing in between. 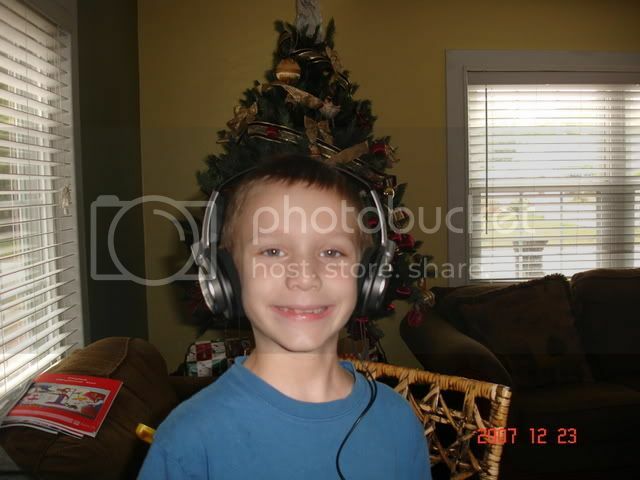 Each week you would see him having such a good attitude as he would help his parents watch their younger children, he would come alongside his mom to help with chores or go outside to help his dad with projects. He stood strong in his convictions and articulated them well to the T.V. Camera. Someone forgot to tell my 13 year old! My husband and I began to notice little things at first, but they seemed to become more and more exaggerated as he progressed through 13 into 14 years of age. He would follow me around the house to tell me the dumbest jokes over and over again. He would pretend to talk in all kinds of accents to tell his jokes and then laugh at himself. Dinner time became something I dreaded because I didn’t want to totally shut him down, but he would ramble on and on about silly things. His favorite phase became, “I’m just kidding”. We actually had to restrict him from all joking for one week because he could no longer control himself and it began to veer into disrespect. I won’t even mention how much he loved to pretend to make body noises at inappropriate times. 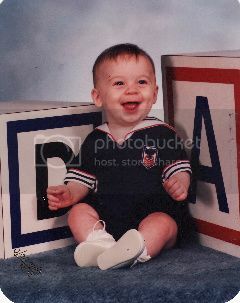 What had happened to my sweet little boy? All those hopes and dreams I carried were going out the window. I would have long conversations with my close girlfriends. I actually cried I was so disappointed, so angry that he wasn’t living up to this picture I carried in my head. I mean I only wanted what was best for him. I couldn’t believe that my once, well behaved child, was now somebody totally different. Fear would creep in as I would begin to imagine him behaving like this as an adult. Who would hire someone who did nothing but joke all day? I didn’t stop loving him for one second, but I was totally exasperated. It was about this time that a dear friend gave me a great piece of advice. She said, “Mary, who our children are today, is not who they are going to be five years from now, fifteeen years from now, twenty five years from now.” She shared testimonies of her older children, and I remember being totally shocked that she’d gone through her own awkward phase with her children, because they were such precious young adults. One day when my oldest son was about to turn 16 years old I looked up and realized that I had him back, but he was better than ever. He will still the same sweet child he had always been, but as maturity and experience entered into his life he began to refine those silly jokes into a great sense of humor. His constant chattering has made him an excellent communicator. Today he is funny, responsible, warm and caring and I have to tell you, I am SO GLAD that he did not become like the picture I had carried in my head. He’s far better. I look back and I think of a caterpillar turning into a butterfly. I see those early teen years as the cocoon. Not only are my children being transformed, but so was I. I had to learn that my children cannot become what “I” want them to be, but who they were created to be! My job is to have loving boundaries in place to help them stay safe while learning how to make decisions for themselves. Those boundaries will grow larger as maturity kicks in, and eventually they will FLY away and live their lives. I will always love them, pray for them, and cheer them on. However, I had to let go of my own expectations, and instead simply help them become who they were created to be! As I write this article my first little one is now an adult and my second son is going into the cocoon. I can honestly say that it doesn't scare me at all this time around. I can't wait to see who he's going to become. Homeschool parents, wanting the best for their children, often wonder, "Is my child on track?" Lets's think about what this question implies. A train barrels down the track in one direction, never veering right or left and rarely stopping until it reaches its destination. Is that really what we expect of our children? Instead of a rigid train track, the learning process is more like the trail left by a cross country skier! There are obstacles to get around. There are hills of various sizes to climb. Sometimes, we stop for a break. A cross country skier proceeds more slowly than a train but he, too, will eventually reach his destination. Teaching is an art, not a science. The most effective teachers do not follow a predetermined route for each child. If something doesn't seem to be working, they pause to re-evaluate and try something new. Is the pace too fast? Is the grade level a bit too high or low? Is the teaching method not effective for this child? Find a way to get around the obstacle and make it up that hill! Don't feel like a failure if you must experiment with curriculum and scheduling. That's a normal part of the process. Few children are trains, but many parents think they need to be an engineer, driving the child in the right direction and adhering to a strict schedule. Be the lead skier instead! Identify the obstacles, call out a warning, move the heavy brush out of his way. Stop to point out an interesting tree or follow a bunny trail. Don't focus on arriving at the depot. Enjoy the trip! I still remember the first time I felt called to homeschool. It was not something I had ever planned to do. 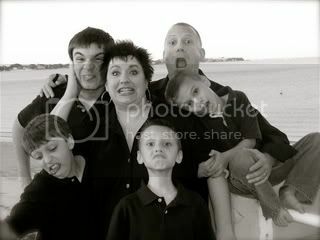 I only knew one homeschool family, and truthfully they were a bit eccentric to say the least. I was working as a nurse supervisor in a long term care facility, my son was in a great school, my husbands hours worked around mine so that we didn’t need to use childcare for our two year old. Everything seemed perfect. However, things began to change as we left “1997” behind and entered into a brand new year. I found that my oldest son was not making the forward progress in Kindergarten that we would have liked. As I began to work with him in the evenings my heart began to be drawn to my home like never before. I would walk away from our “Hooked On Phonics” sessions with a deep satisfaction that my career had never offered me. About this time, I was leaving church one Sunday afternoon when I saw a flyer for an upcoming homeschool orientation. I decided that I would go just to satisfy my curiosity, nothing more. I walked in hesitant but curious, and walked out forever changed. I knew that I knew, that I KNEW, that this is what I was supposed to do with my life. I came home and my husband and I had deep discussions. He was in total support and thus we began to make plans to bring my oldest home the following school year. I couldn’t wait to pick up the phone and share the exciting news with friends and family. I had no idea the reaction this decision was to illicit. My grandmother who is my very best friend, but also a retired school teacher let me know in no uncertain terms that she was displeased with my decision. I remember her telling me a comment one of her retired teacher friends made about how I would now get to sleep in everyday. My mom and dad didn’t say much, but would voice their concerns every time Brandon couldn’t answer their pop quizzes which were given frequently. They often made little comments about how my children were “sheltered”. My girlfriends thought it was a “phase” and predicted that I’d want to pull my hair out after just a few weeks of being home with my kids all day. Yet, nothing anyone could say would sway me because I knew that for our family homeschooling was the absolute right choice. Fast Forward twelve years later and you would see a totally different picture. You would think it was my grandmother’s idea that I begin homeschooling, to hear her talk. (giggling as I type) Just this past weekend we had a big birthday bash for my 18 year old son and all 100 + of his homeschooling friends showed up in full force. My mom and dad were there and when we talked the next day mom shared how much fun they had and how they couldn’t believe all the friends Brandon has. It brought tears to my eyes because even though we have to do what we are called to do as parents, it just feels good to have the support of your family. What is the lesson in all this......, Give It Time! Live your life, be gracious when they don’t understand. Know that this is a big shock and that it’s something many of our families never even considered. The media is so biased and has done a good job of painting a picture of homeschoolers holed up in their houses with our curtains drawn, afraid of the world around them. The ONLY thing that will ever change that perception is when we disprove that “lie” through our example, our life and that takes time. Stay the course, stay connected, stay committed! How about you? What type of reaction did you get when you began your journey? 1. Give your student a pre-populated spelling list containing a mixture of words he already knows how to spell and words he has never seen before. 2. Make the list as long as possible, so you can check off that the "correct" number of spelling words has been introduced this school year. 3. Assign tedious and boring practice exercises, such as copying the entire dictionary definition for each word. 4. Follow the tedious and boring practice exercises with additional meaningless activities, such as writing each word five times. 5. Administer a spelling test on Friday. On Monday, start over with a new list of words, regardless of how many words the student spelled incorrectly on last Friday's test. You were yawning just reading that, weren't you? What if you were to do the following instead? 1. Assign a daily journal entry. Tell your student that creativity is the goal, so to not be concerned about spelling, grammar, or punctuation, except for what comes naturally to him at this point. Allow your child to write about whatever he wishes: a story, a poem, an essay, a book report, or a letter to Grandma. 2. On Friday, have your child choose one favorite journal entry from the week. Help him correct the spelling, punctuation, and grammar. Have him re-write or type the piece with the corrections made. 4. Use a site like SpellingCity for spelling practice. At SpellingCity, the student can play fun games online, using his own spelling list. Supplement the online practice with activities such as writing spelling words on the sidewalk with chalk, scratching spelling words in sand with a stick, forming spelling words on the refrigerator with magnetized letters, and making spelling words with letter tiles borrowed from Scrabble or a similar game. 5. Administer a spelling test on Friday. (The student can take and print their weekly spelling test at SpellingCity ). If any words are not mastered, include them in your student's spelling list the following week. The total number of words in the list should still not exceed ten or twelve. Keep the printed test results and occasionally include a previously mastered word or two in the student's list for review. It allows the student to concentrate on words he doesn't already know how to spell. He learns how to spell words that are relevant to him, because they are already part of his vocabulary. Incorporating writing into the spelling program demonstrates a tangible reason for learning to spell correctly. The practice activities are entertaining, so more practice is likely to take place. Students tend to retain what they learn when learning is fun. Frequent review assures that words are committed to long-term memory. Finally, the personalized method assures that one missed school day doesn't forever end the student's opportunity to learn to spell an important word! Homeschoolers in the seventies often had to "make do" with curriculum designed for classroom situations. Utilizing classroom curriculum often negates one of the main benefits of home education: The ability to customize your child's program. If you, as a parent, would like to provide a more personalized experience for your student, but aren't quite sure of your ability to do that yet, spelling is a great place to start! I had a blast looking through the list of comments from last week’s "Where In The World Are You" article! And I also enjoyed watching new pushpins pop up on the Parent’s Map. We T4L’ers are spread out far and wide, aren’t we? I hope some of you were able to find another parent close to you to network with. Why? Because I think that networking and support are two of the key ingredients of successful homeschooling! I didn’t always think that. I used to feel that I was perfectly fine in my little cocoon of “my four and no more.” I didn’t look for support, I figured things out on my own, I forged my own path. Until one day, I woke up and realized I had spiraled into a pretty nasty depression. This was quite a wake-up call for “Miss Independent.” When I could hardly force myself to get out of bed one morning, I knew I had to make some changes - - and quickly! First, I got a small part time job at a local bookstore as an inventory manager. This got me out of the house a bit, and reminded me that there was more to my skill set than lesson planning and food service. Next, I started networking with other homeschooling moms online. At that time, I didn’t feel like I fit in well with our local homeschool support group, so I began to search out online homeschool support groups, and communities of like-minded homeschoolers who I felt could understand where we’d been and where we were going. Later, I learned how to blog, and was amazed at cathartic sharing my ups and downs, and the craziness of our lives could be! Plus, my blog quickly became an online “community,” where several other homeschooling moms and I frequented each other’s blogs, commented on each other’s posts, and evolved into long-distance friends! Finally, a new homeschooling support group started up nearby, and once I had gone to the first couple of gatherings with them, I knew we had found our “peeps” - - families we instantly felt comfortable with and looked forward to spending time with. This process hasn’t been an overnight one, but it has been an humbling one. I realized that it is okay to need. Need support. Need encouragement. Need community. Need friendship. Need…people!! Technology! Computers Are The Wave Of The Future! Today was an exciting day around our house. My husband had the day off and we spent it welcoming a new chapter into our lives. The I-Phone! We woke bright and early to two cups of steaming coffee, excitedly planning out our agenda for the day. 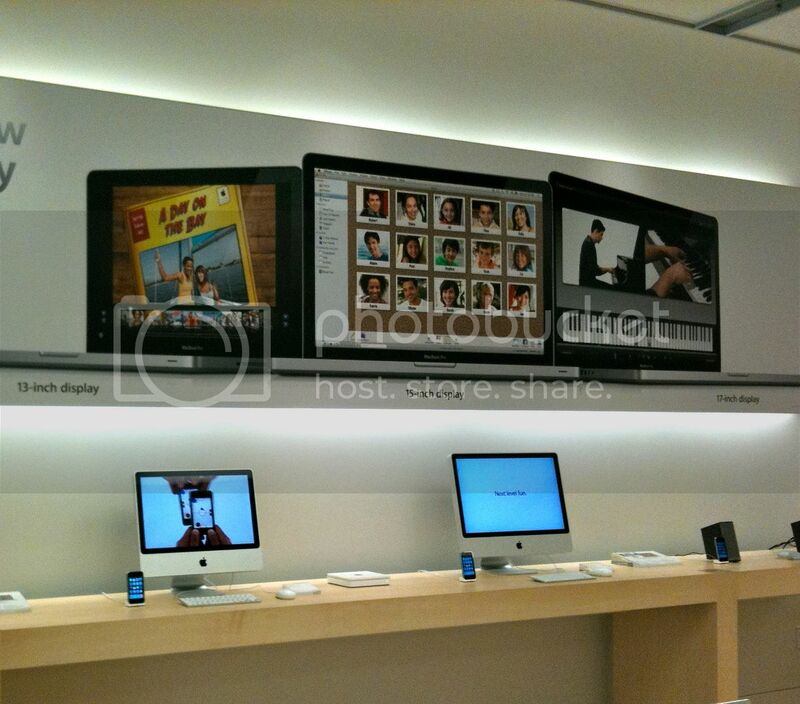 We didn’t have long to linger as we needed to meet for a private appointment with our Apple sales associate at 10 a.m. Oh, be still my heart. I had been waiting for this day for months. As I was sitting here tonight thinking back on the events of the day. I smiled as I remembered walking through my front door this afternoon. My children practically ran me over in their attempt to see who could hold the new gadget first. The boys were so sweet and couldn’t wait to help “mom” figure out all the bells and whistles. (Honestly, it’s embarrassing how technically deficient I am). It made me reflect back to “2007” when I first began my journey with Time4Learning. After almost ten years of homeschooling the old fashioned way....., Paper, pencil, lesson plans, supplies, projects, you name it. This (computer based learning) seemed too good to be true. Oh sure, I LOVED our first day, first week, first month, but then, I remember the fear beginning to set in. What if I was doing my children a disservice because we weren’t doing enough BOOK WORK?!?! (eek) It just seemed too easy. Isn’t it funny what a little time can do to change your perspective? As I looked at all of my amazing young men eagerly gawking at our newest little computer, I realized how much I’ve changed my thinking over the past 2 1/2 years. Now I tell everyone I know how important I believe computer based learning to be. I truly believe that we MUST teach our children how to thrive in the world of technology. Yes, we still do penmenship and read great books together, but my children are learning how to become independent thinkers and workers as they proudly accomplish their on-line learning each day. As I lovingly look over at my pretty little I-phone snug and secure in her docking station I have a huge smile on my face. I see our world changing and I know that time4Learning has made my children more confident and comfortable with technology. Because of working on their on-line lessons everyday they have become strong learners in this new land of keyboards and monitors. Remember that deodorant commercial? "Never let them see you sweat!" It might be good parenting advice, too! I was born with a calm nature, and I'm pretty laid back. I always thought it took a lot to ruffle MY feathers! But then I gave birth to six expert feather rufflers! We parents have high expectations of ourselves. We've been entrusted with our children's very lives and we want to do everything perfectly. Failing at the smallest parenting task often elicits the kind of guilt feelings we've never experienced previously. Didn't hear the baby crying right away? Nicked a finger while clipping her nails? Dentist says child should brush more often? Oh, the guilt! When we make parenting choices that are markedly different than those of our peers, we are subject to even more guilt feelings. It takes a strong conviction to stand up to frequent criticism. Perhaps nothing cuts deeper than criticism directly from our child. "I'll never get to ride a school bus (or go to a prom)!" "I'd have more friends if I weren't homeschooled." "I'm behind in math, and it's all your fault!" It's like that line in Freaky Friday where the daughter screeches, "You're ruining my LIFE!" If you are a long-term homeschooler, your kids will probably experience at least a short period when they wish they were in public school. Assailed with self-doubt, many parents will give in to what proves to be temporary discontent and enroll their child in public school. They are often surprised when the student then begins complaining about a teacher, or the principal, or another student. It's the "grass is always greener" syndrome. I have friends whose kids have spent time in every school situation imaginable: public school, private school, homeschool, and charter schools. Experimentation is sometimes necessary to find just the right school for your child, but make it clear that you in the experimentation phase. If you seem entirely committed to the public schools one day and angrily withdraw your student to homeschool the following month, you send a mixed message . . . especially if you re-enroll your student when your anger dissipates. Our kids will take advantage of our indecision. I've never wanted my children to think I was perfect, because then they'll think they have to be perfect, too. I share the mistakes I've made, hoping they will be able to learn something through my errors. They don't need to be privy to every agonizing step in the decision process, though. In our family, we ARE homeschoolers. We are committed to homeschooling and none of our children have ever seriously suggested any other educational option. Oh, they've grumbled on occasion, and I have to admit the complaint from my first grader about his lack of school bus rides cut me to the quick! Reacting emotionally to that or any other mild complaint just invites more, though. Mildly acknowledging their concern usually causes it to fade away. "It WOULD be fun to ride on a bus some day, wouldn't it?" Our children actually take comfort in feeling that we know what we are doing. An on-again-off-again member of my homeschool co-op lets her daughter decide each year whether she wants to homeschool or not. I can't help thinking that's a huge decision for a little girl to make. Don't our kids count on us to be in charge of the really important things? Parenting methods are as numerous as the parents who implement them, and nothing works in every situation. I like to provide my children with choices. They need practice making decisions and need to feel some control over their life. But, in our family, the important decisions are completely up to the parents. Three of my six children are now happy, productive adults. All of them tell me they are glad they were consistently homeschooled, so I don't experience the degree of guilt that I used to have. When the occasional complaint is made, I might even lose sleep over it as I work through the emotions involved and the ensuing decision-making process. But, I never let them see me sweat! Would you like to discuss parenting issues with other homeschool parents? You can talk about it on the Time4Learning Parent Forum! 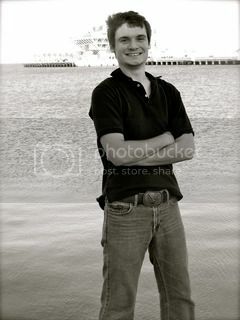 I am currently planning a big "18th" birthday bash for my oldest son Brandon. As I have been making out the guest lists, calling the Dee Jay, talking budget with my husband, I am quickly taken back to his first birthday. It seems like yesterday that I was planning his big Chuckee Cheese party. I had friends and family who didn't understand why I would want to spend money on something (they said) he would never remember. All these years later and I wouldn't change a thing. Do you know why....., because "I" remember. All too soon, his days at home are coming to an end, and yet it seems like it was just yesterday that I was putting his pudgy little diapered bottom in the front of my grocery cart. Where did the time go? If I could do it all over again, I would do so many things differently. I would relax and know that it’s okay that he didn’t “get” borrowing or carrying, or that he misspelled “Wednesday”. I would now know that he'll get it, eventually, in his timing and not a minute before. I would enjoy his silliness and encourage him to learn from his mistakes, rather than fret over them. I love homeschooling, I love the lifestyle of “family” that it offers us. My heart is especially drawn to those of you in the wonderfully busy season of babies. Perhaps diapers and bath time make you feel like your being swallowed up and forgotten, but I promise you that all too quickly your season will be over and then they’ll be on their own. I pray you can enjoy every single second. While out of town for an annual homeschool planning weekend I wrote my son a letter as we prepared to begin his "senior" year. Please note that it was not my intention that this letter would become an article, but my hope is that it will give a big picture view to those of you who are in the busy, crazy younger years. I promise you, one day you will wake up and your homeschool season will be all over. It goes so quickly. Embrace everyday, enjoy every moment and don’t blink! “It is late at night and I am hours away from you at my annual homeschool planning weekend. This time next year you will have completed your twelve years of formal home education and we will be setting goals for the next step in your life. As I sit in the quiet (everyone else is asleep) I am overcome with memories of YOU! My heart can hardly believe that we are beginning your senior year. It seems like yesterday that I was holding you in my arms for the very first time staring down at your sweet little face. Where has the time gone? I was blown away last year when you wowed your father and I with your ability to hold an audience in the palm of your hand as you co-emceed the county talent show. Your sparkling personality and amazing sense of humor draws others to you. I want to do it over again just because you’ve made the journey such a JOY! It brings a smile to my face as I am reminded that these are just the beginning of our memories. It will be my genuine delight to begin moving to the sidelines so you can take the reigns of your life. As you begin your career, figure out exactly who you are, and start a family, I will always be there cheering for you, praying for you, proud of you. You are so tender, so sweet, so loving and yet at the same time you are solid and strong! I would like to close by sharing a song that moves my heart and reminds me of what's most important....., It’s by Kenny Chesney and it’s called, “Don’t Blink”! How about you? Where are you in your journey? How old are your children? What do you do if your homeschooled child doesn't seem to be making progress? In many cases, the student is returned to public school in a panic. I'm convinced that this is the reason many public school teachers take a dim view of homeschooling. The homeschooling failures are all they have been exposed to. I used to think I must be a gifted teacher. I could set a textbook next to my eldest son and he absorbed the information contained therein practically by osmosis! His brother was also scholarly, and little sister was reading at age three. Ah, yes, this homeschooling business was going to be a breeze! It turns out I wasn't such a terrific teacher, after all. Wedged between all the glorious successes was big sister. I'm not sure exactly when I noticed her struggling, but at some point I realized she was still sounding out words like "cat" and "dog". It took two years of listening to her read every day before I felt she was reading at grade level. Then I realized she couldn't understand what she read. Another two years of shared reading (where the parent and student take turns reading pages aloud to each other) went a long way toward improving her reading comprehension. Unfortunately, it was then time to tackle her multiplication tables. I didn't mention it to my daughter, but I considered sending her to public school many times. (See Never Let Them See You Sweat on this blog this coming Wednesday.) Maybe home education wasn't best for this particular child. As I was deliberating all of the options, I happened to attend a church function where I listened in on the conversation between several moms whose children attended public school. All of them had complaints about their children's progress, and they seemed to be placing a lot of blame on the teacher. It quickly became apparent that this was essentially a teacher-bashing session. I knew from teaching my own children that the teachers could never live up to these parents' expectations, especially when they were responsible for twenty other kids. I smiled when I heard some of the parents of struggling students say they were thinking about homeschooling. Apparently, when our kids encounter difficulty, we parents feel compelled to do something different. That's when it dawned on me. No teacher, however well-intentioned, would be able to spend the amount of time with my daughter that she required. Somewhere inside, I had known this all along. Why did I keep thinking about sending her to public school? The answer, I reluctantly admitted to myself, was evident in the way this group of parents was verbally attacking their children's teachers. If she's in public school, and she fails, at least it won't be MY fault. I was ashamed when I realized there might be more to my motivation for homeschooling than wanting the best for my child. Maybe I felt I had something to prove. It had been pretty easy to pat myself on the back when my other children brought home exemplary test grades. Witnessing that heated conversation marked the end of my self-doubt. The effort spent on home education wasn't worth it if it only secured bragging rights for myself. I knew my daughter needed the kind of one-on-one tutoring that was not available in a traditional school, and I ceased caring whether she was at grade level or not. We were both doing our best. That's all that mattered. Middle school is a terrific time for catching up. In contrast with elementary school curriculums, which promise to "introduce" concepts, a middle school scope and sequence is peppered with words like "review" and "expand". Most kids enter seventh and eighth grade at least being able to read and with a basic understanding of the four math operations. What a wonderful opportunity to finally master advanced math concepts, refine writing techniques, and dig deeper into subjects that pique your student's interest. Children seem to mature at a rapid pace at that age, and things that were previously confusing to them often begin to make sense. The middle school years provided the breathing room necessary for my daughter to blossom. She finished our homeschool high school this year and obtained very comfortable scores on her college entrance exams. She will probably never approach her siblings' abilities as a student, but this isn't a competition. I overheard her tell a friend she was glad she was homeschooled. "I'll bet I would have had to be in special classes and things in regular school," she confessed. "I had opportunities in our home school that I never would have had otherwise, and it was a whole lot better for my self esteem than special classes would have been." Ahhhh, finally . . . something to brag about! I often suspect that homeschooling my children has taught me more than I've taught my kids. I have learned that lack of immediate success doesn't mean failure! Worthwhile things often take time. If you need help deciding whether to return your student to public school, or if you are looking for teaching strategies to try, consider discussing it with parents on the Time4Learning Parent Forum. That’s why one of my very favorite locations at Time4Learning is the Time4Learning Parents Map. The parents map is a place where T4L members can put a virtual “push pin” in their location on the world map. There are bunches of adorable personalized push pins to choose from, so you can show off your personality. The advantage of doing this, is that you will find yourself surprised by how many T4L’ers there are - - right within driving distance of you!! I’ve often thought it would be a hoot to organize a regional Time4Learning family picnic, and send out invites to each of the T4L subscribers from my region of the Parents Map!! So, as a fun project for today…why don’t we do an experiment? How about, in the comments section of the blog, or in the Facebook comments, you simply add your city and state? THEN head over to the Parents Map, and add yourself there, as well. Over the weekend, let’s all check back on both the comments and the map and see how many of us are within driving distance of each other. From there, I’ll leave it to you. Want to organize a MeetUp? Maybe there will be enough of you in your local area to even begin a small support group, a book club, or a coffee club!! At the very least, you can become “Facebook Friends” and have an easy way to keep in touch and share homeschooling stories and T4L tips! Sounds like a fun way to meet some great homeschooling moms and dads! I can’t wait to see how many of you are close-by!! It was great getting to see who our Betty’s and Olive’s were on Tuesday. If you missed that post please take a moment to review, as it has the litmus test to find out what your incredible personality type is. Today, I am going to share with you the characteristics, strength’s & weaknesses of first, our “Betty Bohemians” and then our “Olive Organized” personalities. Please note that not every single characteristic, strength or weakness is going to be true of you. But you should find that generally speaking this does paint the picture of who you are. "Basic Characteristics of a Betty"
Relational - Very in tune with other’s feelings & emotions. Processes through conversation - Learns better when able to process through conversation. More energized through talking. Masters information through teaching it to others. Needs to be creative/ Must have wiggle room - Works better when able to come up with their own creative idea’s. Doesn’t like to follow other people’s idea’s because it crowds out their creativity. Simplicity ='s Consistency w/ daily routine type tasks - Routine is death to a Betty. It drains our excitement and energy. Thrives in both giving and getting words of affirmation - Because of Bettys strong relational skills they are often quick to point out area’s where others are thriving! Excitement Builders - Because they get excited, when inspired they turn their excitement into idea’s to get other’s on board. Empathetic- Deeply feels other’s pain. Forgives and Forgets easily - If someone wrongs them all it takes is a sincere apology and a Betty can bounce right back. Tend to see the glass half FULL - Betty’s can tend to find good in most situations. Doers - Doesn’t like lots of discussion, or time to process, wants to jump right in and put action to the idea’s! High expectations for others to be relational and affirming - Can make their Olive friends feel as though their feedback is not good enough. Too Sensitive - Can make others feel like they have to walk on egg shells. Struggles being excited/content with routine - Betty’s often need help and accountability with consistency in area’s that are routine oriented. Struggles w/ self-discipline - Because Betty’s tend to be emotionally led this can lead to the mentality that more is better. More Money, More Food, More Fun. Too quick to say “Yes” - Though this can be our strength, it is also the one thing that keeps us from enjoying those things we commit to. We put too much on our plates, and you know that when you are “full” nothing tastes good. Struggles with details - It’s often the little things that we forget, but those little things can become very distracting from the big picture. For instance, you write up a very inspiring invitation to a party, but forget to put the date or address. Can be naive - Because Betty’s see the glass as half full we may struggle to recognize possible pitfalls. "Basic Characteristics of an Olive"
Informational - Olives tend to be motivated by knowing and understanding details. Craves quiet, order and routine - Where Betty’s feel energized through conversation, Olive’s gain their inspiration through quiet contemplation. Internalizes and ponders to figure things out - An Olive needs time to process their thoughts. Likes to stick to a plan - Where routine is death to a Betty, it brings life and peace to an Olive. She is very consistent once she has a plan in place. Enjoys imparting knowledge and Insight - Because an Olive spends so much time internalizing their decisions, they enjoy helping others by sharing what they’ve learned through their pondering process. Self Confident - Because Olives invest so much time in making good, solid decisions, it helps them feel confident in their choices. Takes responsibility and commitments seriously - Olives are very dependable. If they’ve told you they are going to do something you can bet they are going to follow through. Loyal - We found that Olives don’t have as large a friend base as a Betty, but they are very loyal and commited to those relationships in their lives. Practical - Betty’s love this about Olive’s. Their practicalness helps remove the emotionalism and brings clarity to chaos. Generally academic and capable - Because Olives thrive on details they find the process of learning to be interesting and therefore tend to do well in this area. Good Listeners- You can count on Olives to give good honest feedback. Purposeful/Diligent - Because Olives pause before jumping into a project they tend to be more purposeful and diligent. Logical/ Analytical - Time invested analyzing decisions helps Olives make solid choices. THINKERS- Whereas, Betty is a "DOER" an Olive is a "THINKER"! Olives often help Bettys refine their idea’s to make them better. Not naturally in tune with others feelings - Because Olives are so practical it may appear that they are insensitive at times. May tend to respond to conflict with logic and reason rather than desired emotional support. Not naturally good at expressing feelings and emotions. Can be prideful and think their way is the right way, the only way. Can lean towards sarcasm when feeling uncomfortable Judgmental - Because Olives invest so much thought into their decisions they sometimes cannot see that though their decision is right for them, it doesn’t mean it’s right for everyone. To Quick To Say "No" - Where Bettys get themselves into trouble by being too quick to say yes, Olives sometimes miss out because they are too quick to say NO! Let me close with an inspiring story that illustrates why neither is better or worse, right or wrong, but that when we embrace who we were created to be, we find peace and purpose in our lives. “Oddly enough, I'm thinking about plastic knives today. You know, the kind you get with your to-go meal at restaurants, packaged with a plastic fork, spoon, and napkin? For years I ditched the plastic knife, thinking they are a waste of energy and not very useful at cutting my food. Steak, chicken, pot roast ...metal knives slice right through these, but not plastic knives. Hard foods are not their forte. Where plastic knives do excel, however, is in cutting fresh from the oven, piping hot brownies! Have you ever cut brownies with a table knife and made a ragged mess out of them? Well, I've discovered a way to enjoy them, and keep them in tact, while they're still warm. I've used this trick successfully for years, as my hips will attest. Nice squares of warm, gooey chocolate goodness with smooth edges can be yours when cut with a plastic knife. Knowing plastic knives' special knack for cutting brownies, I use them specifically for that purpose. I don't try to cut cardboard, steak or wood with them. That would be a senseless misuse of their gifts. So based on this information, how does this line up with your personality? Your Strengths? Your Weaknesses? Who do you most identify with? I have six children, so what do I know about homeschooling an "only"? Maybe less than you do, which is why I am soliciting your opinions! Because my first child was almost nine before the next five arrived, I might have a little more insight than the typical mom-of-many. My neighbor once told her only child that she was loved more than my children, because her parents didn't have to divide their affection among so many. I was able to gently correct her, with humor and grace, because I understood why she might have that impression. I remember fearing, while expecting child number two, that I could never love another child as much as I did my firstborn. Several children later, I smile at the absurdity of that fear, but I'm better able to relate to my neighbor's situation in some respects. Our homeschool co-op is made up of many families with five or more children. I was surprised to notice that almost as many members have a single child and that some families with several kids are homeschooling just one of them. I remember the thought processes that go into the decision to homeschool. My own family size was one factor that influenced our decision to educate at home. At least I knew they would never be lonely! When people find out we homeschool, they often feel they need to share all the reasons why they don't teach their own kids at home. The first one mentioned by parents of onlies is that their child will be lonely. Parents of onlies are sometimes even more concerned than other parents about "socialization". One friend shared that her son represented her only opportunity to succeed at parenting and she wasn't about to risk doing something as unconventional as home schooling. These days, my own family is shrinking. Two of mine have graduated from our homeschool high school, and another will graduate this year. It recently occurred to me that I will eventually be teaching only one at home. He still won't qualify as an "only child", but it has piqued my interest in the dynamics of teaching one alone. From my casual observation, the "onlies" seem to fare as well as the members of a big brood, but I'd like to hear from those who have been there. Do you have an only child, or are you homeschooling only one of your kids? Do you know someone who does? Does this influence your teaching methods or choice of curriculum? Is having only one at home a positive or a negative . . . or do the benefits and disadvantages balance each other? Please share your experiences. Are You A "Betty Bohemian" Or An "Olive Organized"? 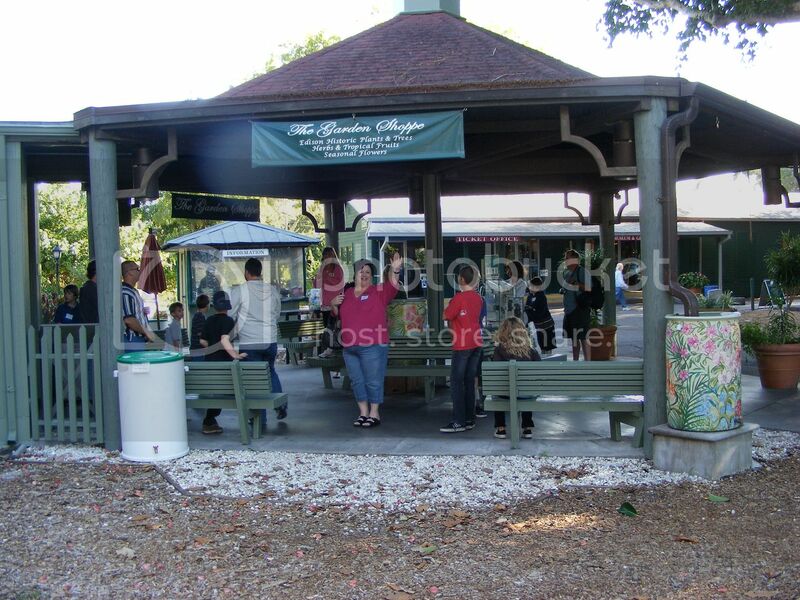 When I began my homeschool journey twelve years ago I came into this community not knowing one person. However, my life has changed a lot since the fall of “1998”. Almost every single one of my “inner circle” of friends are fellow homeschooling moms I’ve met while on this incredible journey. I may not have known many people coming into homeschooling, but I will leave this season with forever friends/sisters that know me better than I sometimes know myself! My local homeschool community is very precious to me. We have over 2,200 homeschoolers here in our county alone, and my support group serves over 300 families. Through the years as we would plug into park days or participate in co-op’s, I began to notice a distinct difference among moms. I observed that many of the closest friends were complete opposites in their personalities. These moms would be drawn to each others strength’s in the beginning of the friendship, but as time went on they would either begin to focus on their friends weaknesses or strive to become more like their friend, whom they admired. This would often causes frustration because the more they strived, the less joy they found? Several years ago I started putting into writing, observations I had made with my own best friend, but this grew to include literally hundreds of moms as I began polling locally and cyberly. As I would share my passion, my story, others were eager to participate and share their thoughts as well. I took note of those who were similar and those who were different. I paid close attention to what each person gained from each relationship and what they struggled with. One common denominator that didn't seem to make sense to me was when I noticed that many of the creative personalities did better using curriculum that was more laid out and traditional, and that many of the analytical moms were successful using unit studies. It seemed that the creative moms would flourish with big unit studies, and the more organized moms successfully strived in the structure of a traditional program!? It was about this time that I came upon Mary Pride’s quote above, and a workshop was born! "One of the biggest mistakes homeschoolers make is thinking that Betty Bohemian should use unit studies and Olive Organized should use traditional. NO, says Mary..., Betty needs structure to keep her on task, but has the creativity to spice up and add to a basic framework. On the Other hand, Olive needs help with creativity, but has the self discipline to stay on task." Aha! Not only did this answer my question about why organized moms thrived with unit studies and creative moms found favor with traditional programs, but I now had a name for these two distinct personalities I had been observing. Before I knew it my close friend and I were traveling all over the western portion of Florida sharing our “Betty/Olive” workshop. We watched families laugh as we shared our Betty and Olive stories. We saw those "aha" moments as things would fall into place and begin to make sense. Best friends would elbow each other in laughter, husbands and wives would hold hands, but the real excitement for me was the moms who would come up afterwards with tears in their eyes, to share their personal stories of struggle. The highlight was when we were asked to speak at the “2007” FPEA homeschool convention, in the leaders forum, and and we saw others get excited about who they were, who their husband, best friend or children were! Years later and I am still growing and learning. What I love about using Time4Learning is that it works for both “Betty’s” and “Olives”. It gives “Betty’s” the structure we need through it’s record keeping and the graphics and lesson plans give “Olives” the creativity that their children desire without making them feel nuts! Today, I am going to leave you with the litmus test to find out who you are. Please share your results with us via the comments. On Thursday I plan to share the characteristics of Betty and Olive and even a few stories to see if you can relate! 1- When you are trying to make a decision what do you do “FIRST”? Do you process through conversation or contemplation? So in other words, when you are trying to make a decision do you pull back to think it through or pick up the phone to talk it through? 2- Do you err on the side of relationships or responsibility? A good way to know this..., When something spontaneous comes up are you more apt to say, “Yes” or “No”? Please know that no one always responds a certain way. So your answer should reflect what you generally would do. Betty Bohemian, processes through conversation and err's on the side of relationships. Olive Organized, processes through contemplation and err's on the side of responsibility. Please know that if you test out as a Betty that doesn't mean that you are not responsible or organized. Many Betty's are very much so, but your strength lies more in your interpersonal skills. If you test out as an Olive that doesn't mean you are not relational, it just means that your strength is responsibility. We are going to celebrate each person in the near future. Stay tuned Thursday for more details! If you tie, then wait till Thursday to see the characteristics of each personality type to make your final decision. Please note: That this is an unscientific test, but astoundingly accurate as you begin to discover Betty and Olive. So let us know..., Are you a "Betty Bohemian" or an "Olive Organized"? Why should kids have all the fun? Parents too can take courses. Learn something new and be a role model for the value of education for your kids. This blog writing class is being offered especially for parents from the providers of Time4Writing. The Blog Writing 101 class starts on Monday, October 12, 2009. Sessions are conducted entirely online and this class comes highly recommended by past participants. The Blog Writing 101 course is designed primarily for an adult audience but is also open to high school students that either have or want to start a blog. The course teaches both how to create and promote your blog. Cost of the course is $59 for an eight week session. A great product at a great value. If you have ever thought about starting a blog, here's the push you just might need to make it happen. Sign Up for Blog Writing 101 Today! Not ready to take the plunge? There is also a blog writing pre-course offered at no charge. As a public service, the /Blog Writing 101 course is offered at a special discount rate for non-profit organizations. Contact sheryl@time4learning to see if your group qualifies. When our family started homeschooling, it wasn't exactly commonplace, but at least it was legal. As committed as I am to this homeschooling lifestyle, I'm pretty sure I wouldn't have been one of the first to buck the system about an issue that might have resulted in my spending time in jail or my children being removed from my custody. Today, homeschooling is legal in every state. We can thank people like Raymond and Dorothy Moore, David and Micki Colfax, Mary Pride, and John Taylor Gatto for much of that. While I don't agree with all of their methods, I do appreciate their paving the way to educational freedom for the rest of us. Although the first cumpulsory education laws in America were enacted in 1853, it was 1918 before every state required school attendance. By the seventies and eighties, the majority of children in America were educated in the public school system. The pioneers of what has come to be called the "homeschool movement" were willing to step out into uncharted territory for the benefit of their families and, later, for the benefit of us all. I've come to terms with the guilt. I admit that I'm chicken! I'm happy to sit back and reap the benefits of someone else's sacrifice. I've had similar struggles with my attitude about military service. I'm so thankful for the individuals who put their lives on the line every day to keep the rest of us safe! I've just never felt called to BE one of those individuals. I've soothed my conscience by reminding myself that there have to be people left at home, too. We all contribute in different ways. 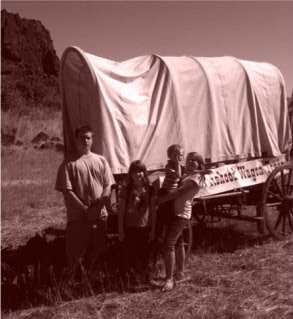 I probably wouldn't have left my home and family to be an American pioneer in the 1800's, although I happily reside in Oregon, a state that openly celebrates their contribution. I don't think I would have joined the homeschool movement in the seventies and eighties, but I surely have enjoyed the educational freedom they helped make possible. It does make me stop to consider what I might leave behind. How adventurous are you? Would you have joined the early homeschool movement, or are you as cautious as I am? Maybe you still feel like a pioneer. What's your story? To discuss homeschool regulations in your state, visit the state-by-state online parenting support groups at Time4Learning. Famous last words. Never say never, right? But I genuinely felt that way. We were accidental homeschoolers, anyway. I would get my two sons through the most transitional, difficult parts of the educational process, and then I would hand them over to the publics schools to prepare them for college. But two years ago, my oldest son was finishing up middle school, and the time had almost arrived. I knew there was a problem when every time I would drive by the school he was supposed to be attending in the coming year, I had a sneer of disgust on my face. I watched the herds of kids moving across the campus to their next class, and realized he would be part of that herd very soon. Just one of the crowd. Part of the gang. Individuality. Diversity. Thinking for yourself. Those have always been the cornerstones of our homeschool philosophy. No matter what we have studied, or what homeschool curriculum we used, I never let my two boys get through a lesson without asking them their opinion on what they were learning. The book, the lesson, the curriculum might say something was definitive, but I always opened it up to discussion. These discussions have been the highlight of our homeschool adventure. In fact, I think I have learned far more from the insights of my boys, that they ever learned from any instruction I ever gave. Sadly, I don’t remember a whole lot of discussion and open-mindedness in high school. There was a lot of “this is the way it is”, and “you need to know this”, and “I’m sorry, but I don’t have time for more explanation.” But not much discussion. In high school, like any organized function, the good of the whole takes precedence over the needs of the individual. In fact, if I remember correctly, it wasn’t until my first year of college that I even experienced a truly open discussion of a topic in a classroom. Does the thought of homeschooling your children through high school seem as daunting to you as it did to me? What are your plans? What do your kids think about it? Are you open to homeschooling all the way to graduation? ARGH! Technological Pet Peeves! Poor Manners! Homeschooling? Let me preface today’s article by saying that if you could see my face and hear the tone of my voice you would know that there is a calm smile plastered on my face as I process my own observations and thoughts conversationally through this article. I would LOVE to hear your feedback and I am always open to hearing the “other side”. Has anyone else noticed that we are becoming an increasingly rude society? Nothing drives me crazier than when I go to the grocery store and there are people talking loudly on their cell phones. Don’t get me wrong, I love to chat on mine as well, but I’m talking about those who talk at the top of their lungs about anything and everything. They have no sense of privacy, no respect for anyone else but themselves. It appears texting has gotten way out of control as well. When did we come to a place that we don’t know how to set aside outside interruptions to visit with others face to face without the need to be in contact with others? I understand the “Pro's” of texting. It allows you to make plans, ask questions, gather quick information without needing to pick up your phone. However, if not carefully monitored it can become just as distracting as a long phone call. On facebook the other day someone sent through very graphic pictures of motor vehicle accidents where the driver was texting while driving?! What?! What about when you're at lunch with your friend and she is texting while your talking? It would be easy to allow the person your with not to feel valued. My last gripe about texting is the atrocious grammar our children are learning as they shorten words to make texting faster and easier. However, when I was a little girl my dad taught me a valuable lesson. If we were eating dinner, watching a movie, playing a game, and the phone would ring, he wouldn’t allow us to answer. I used to worry that I might be missing a girlfriends important phone call. He would stop and patiently explain that the phone is there for “our” convenience and not the other way around. My siblings and I knew that we were the total focus of their attention. 4- Whether texting, facebooking or writing an email, we do not abbreviate our words. Do you have technological pet peeves? Do you have guidelines in your home to manage technology? Won’t you take just a second and share so we can learn from each other?